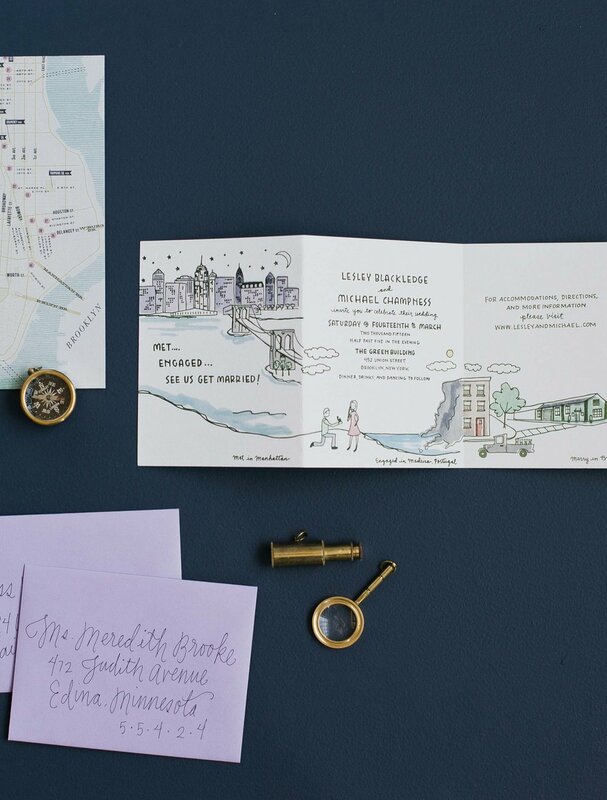 This couple used the trifold invitation to tell the story of their relationship, each panel featured a different location ending with the wedding. We digitally printed the watercolor and used letterpress for the outlines and lettering. We love the level of personalization the multiple panels allows! You can see how another version of this came to life here.